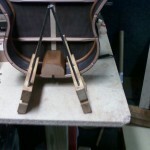 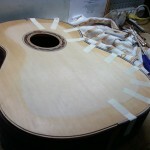 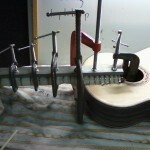 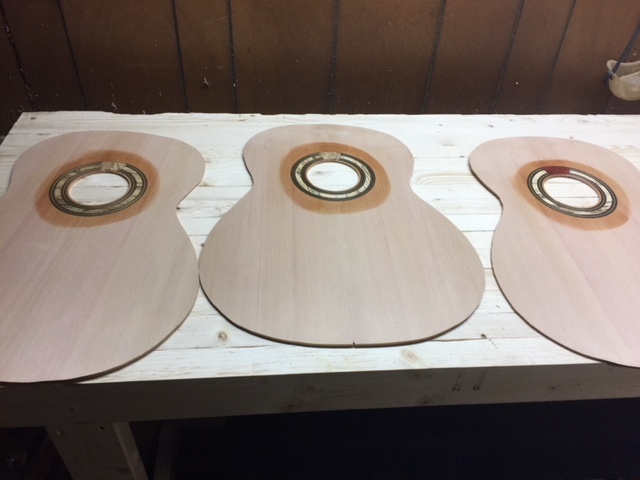 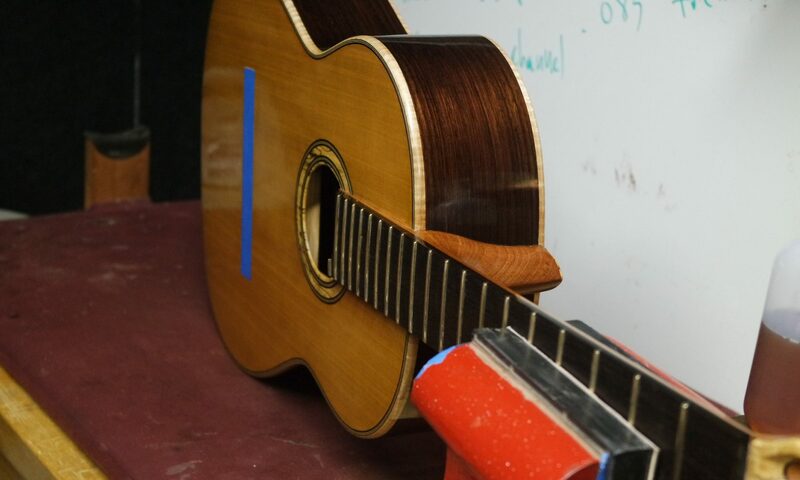 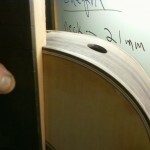 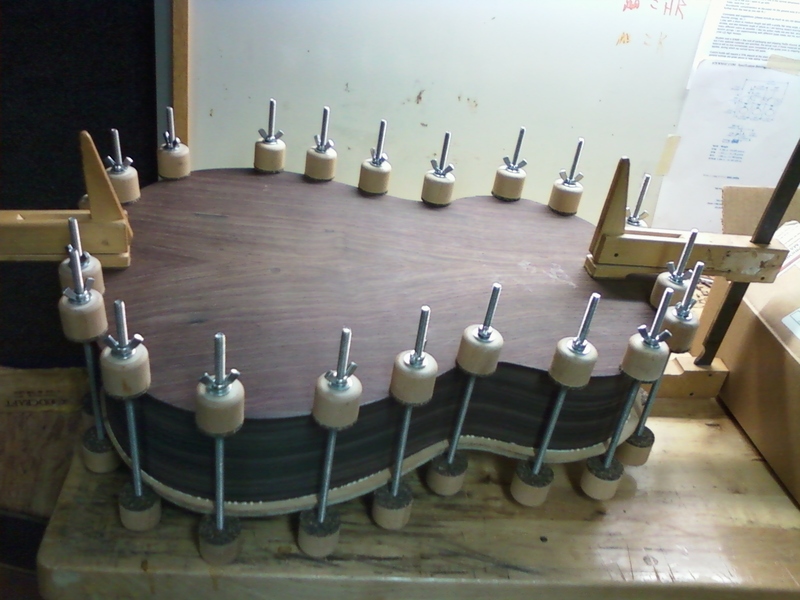 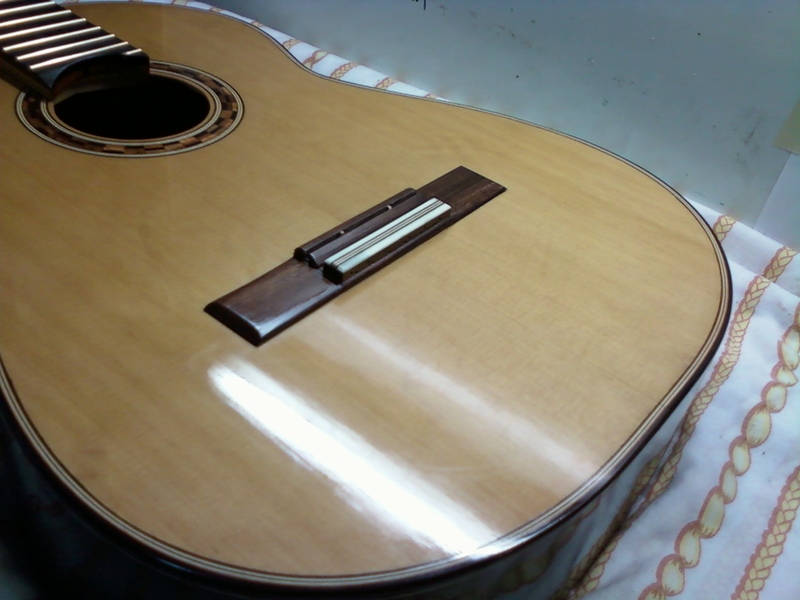 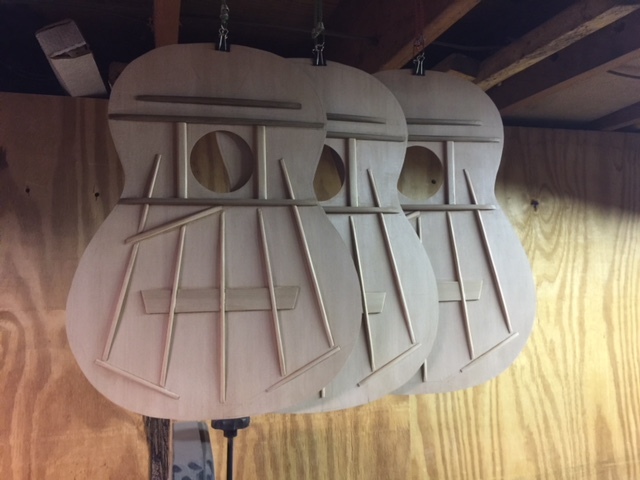 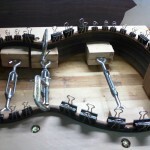 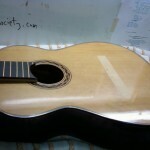 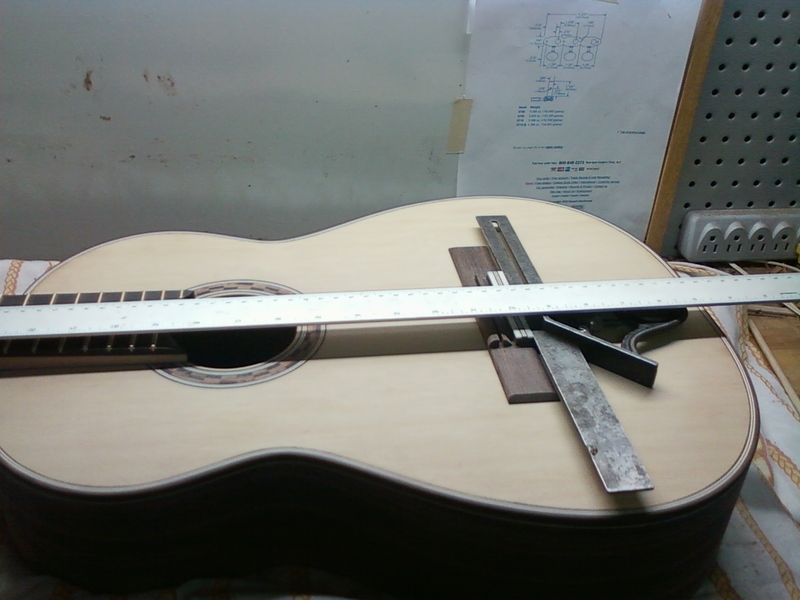 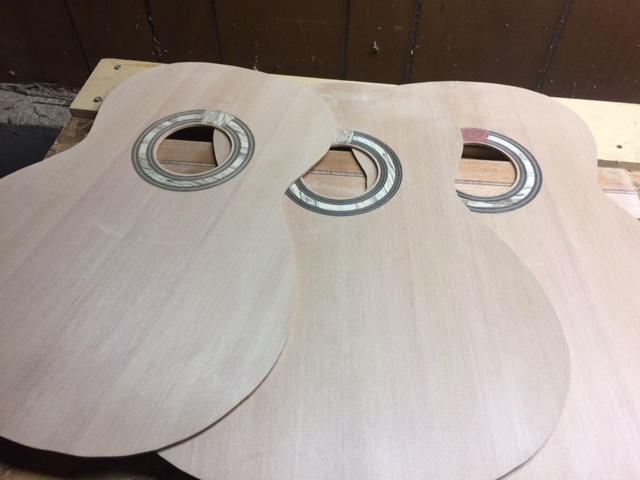 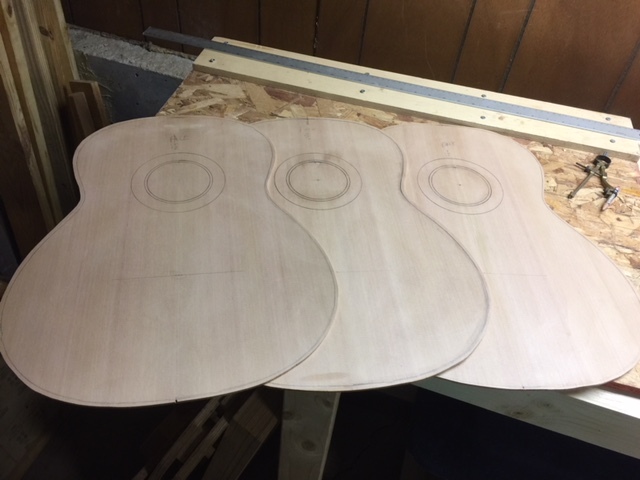 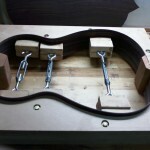 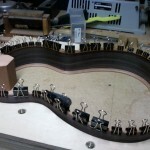 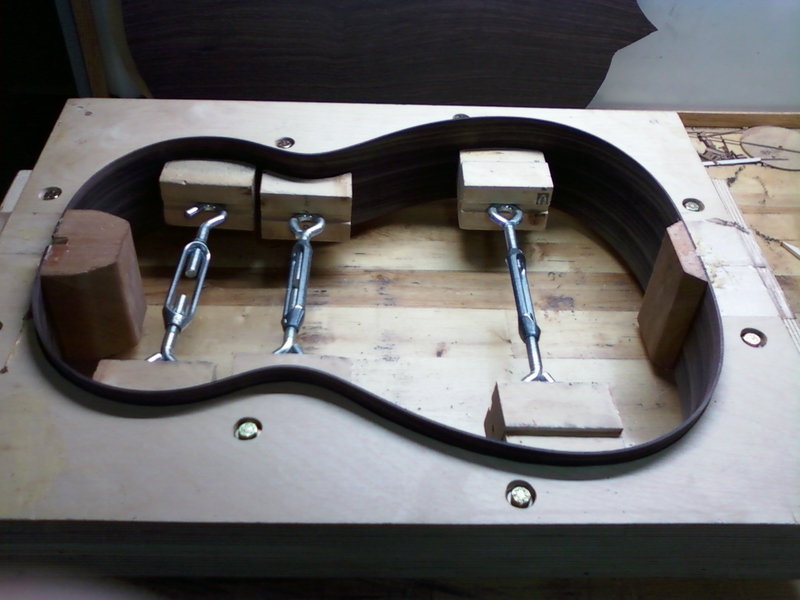 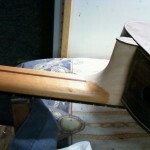 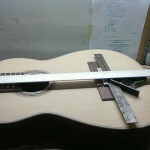 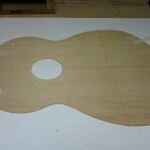 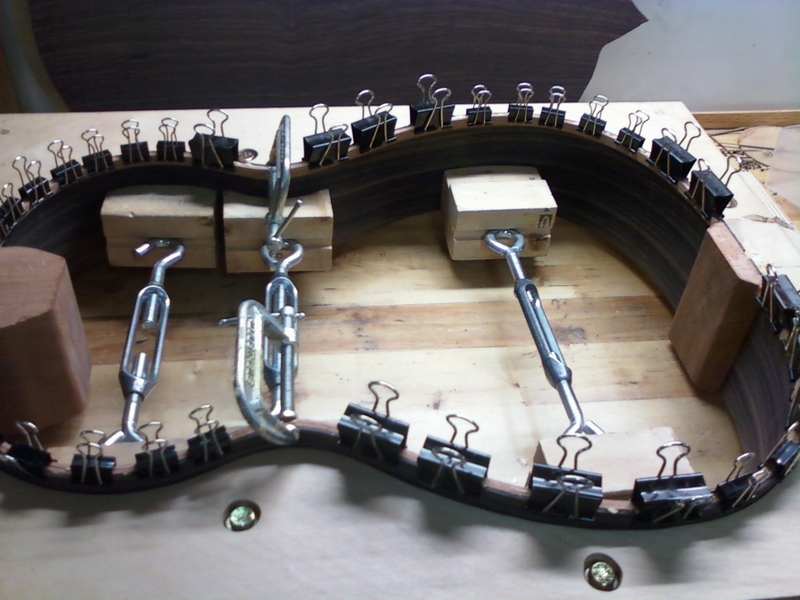 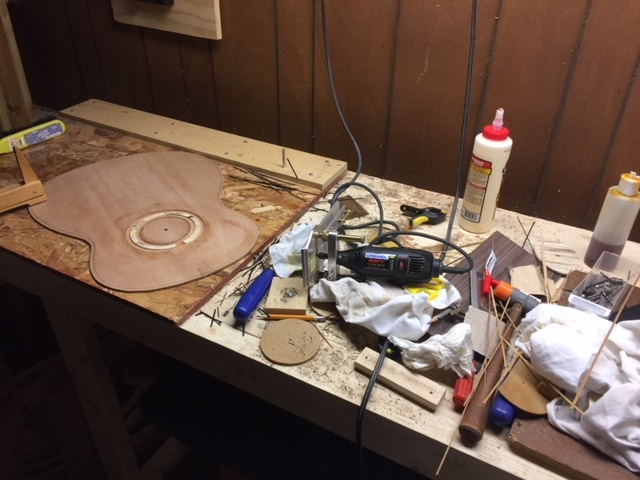 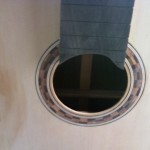 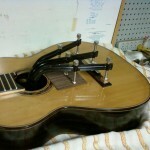 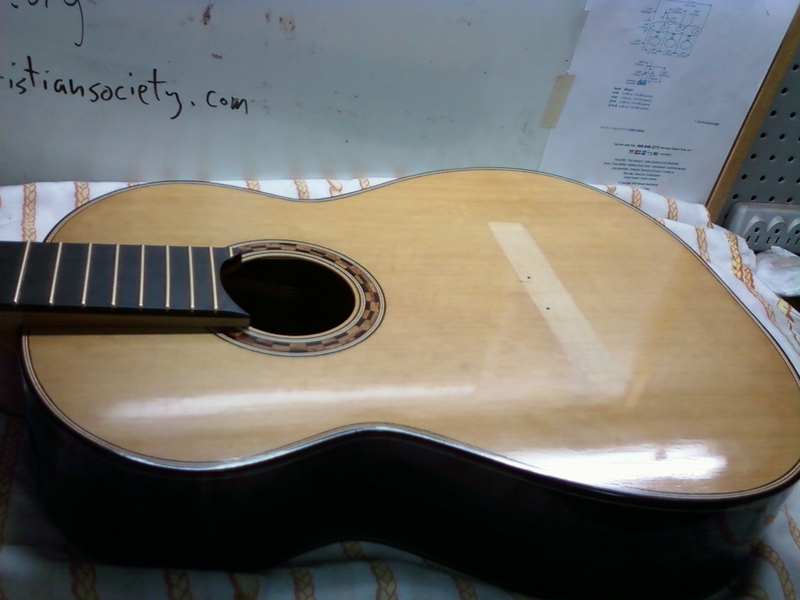 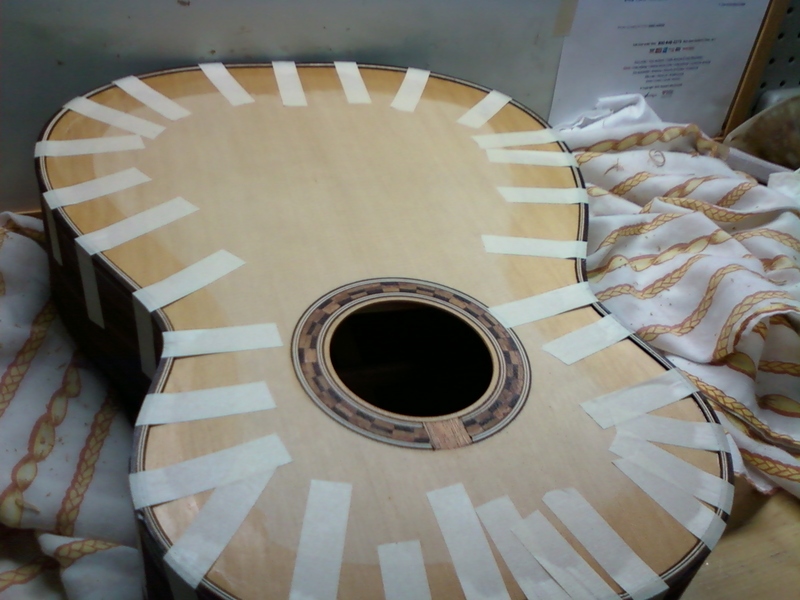 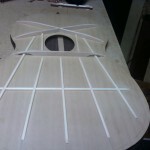 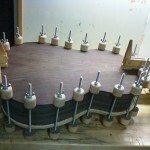 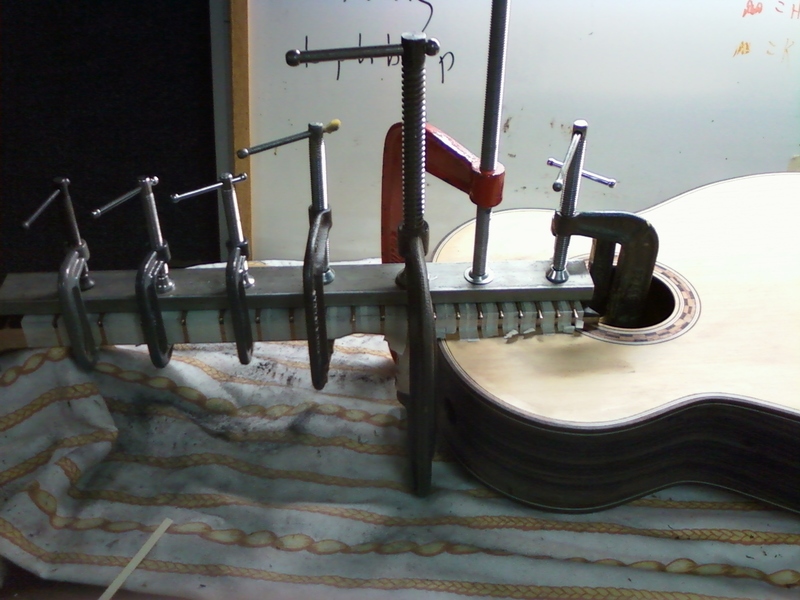 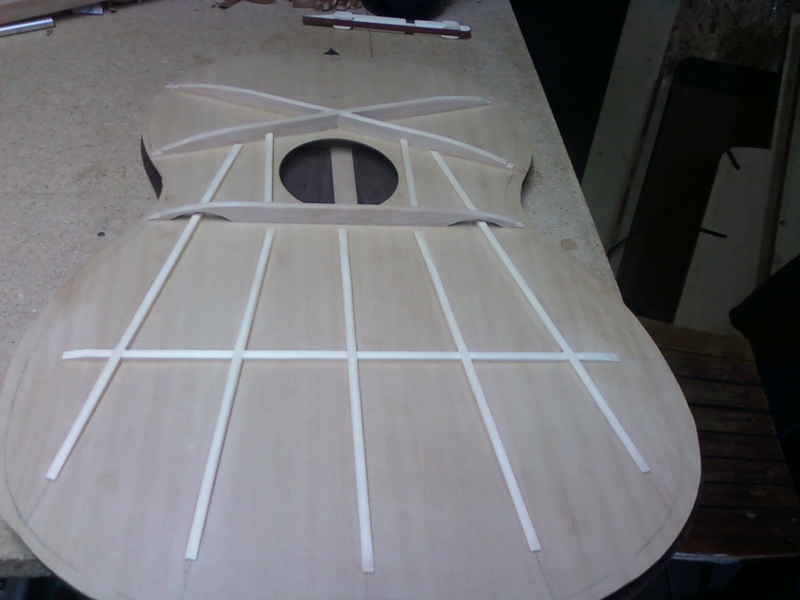 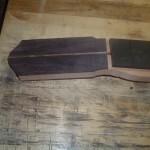 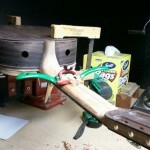 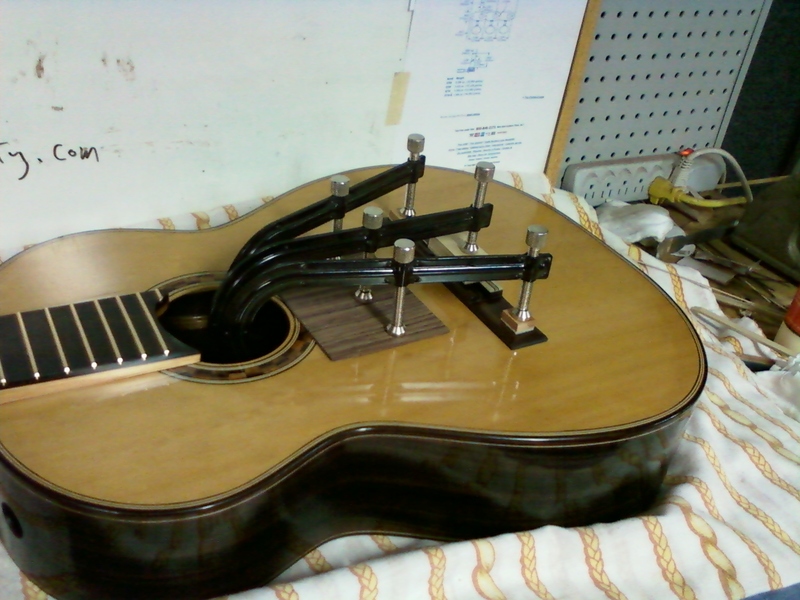 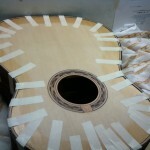 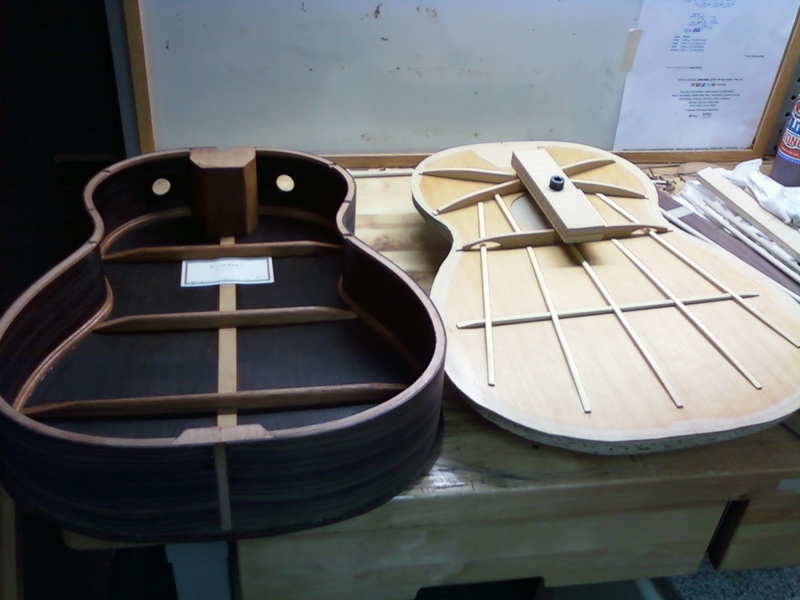 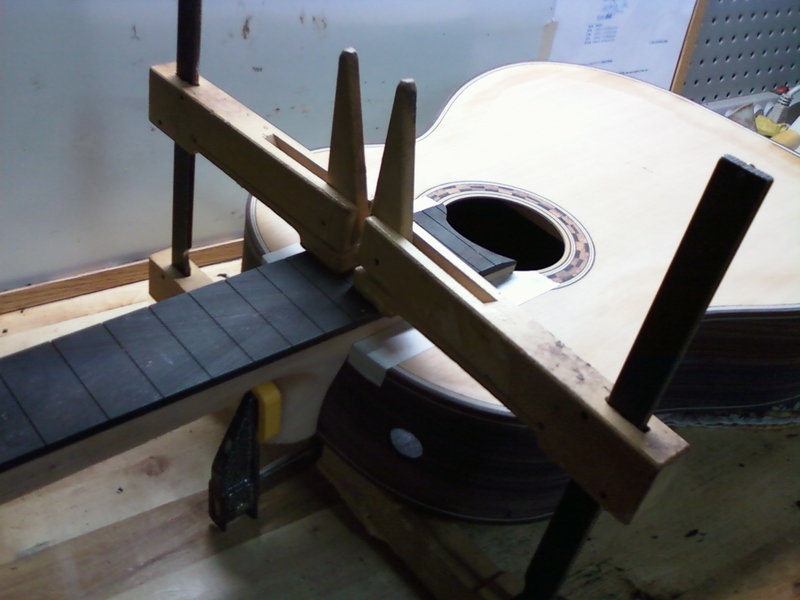 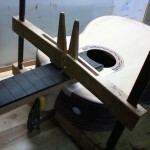 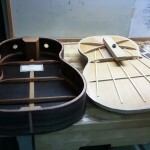 Kenneth E. Whisler, Luthier & Performer – Classical Guitars made & played. 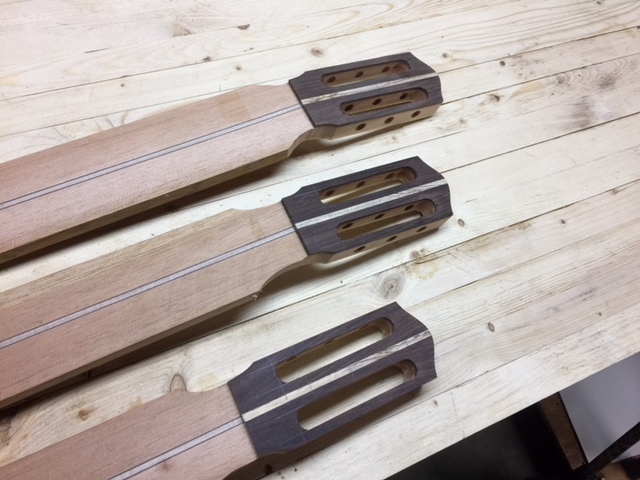 On my bench right now. 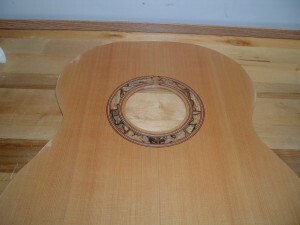 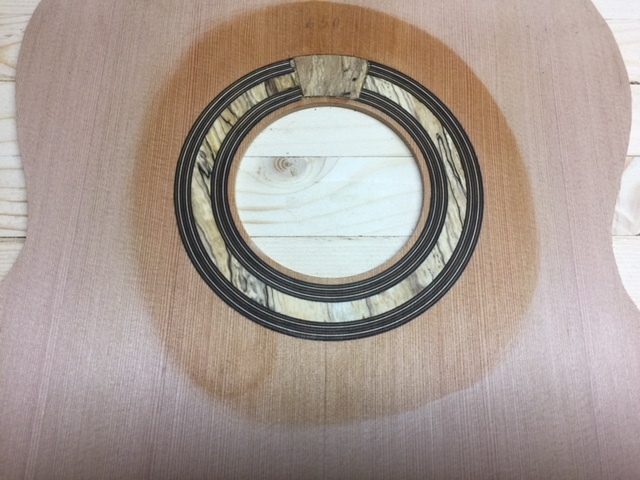 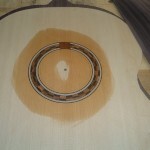 I inlaid the cedar top with sections of spalted maple. 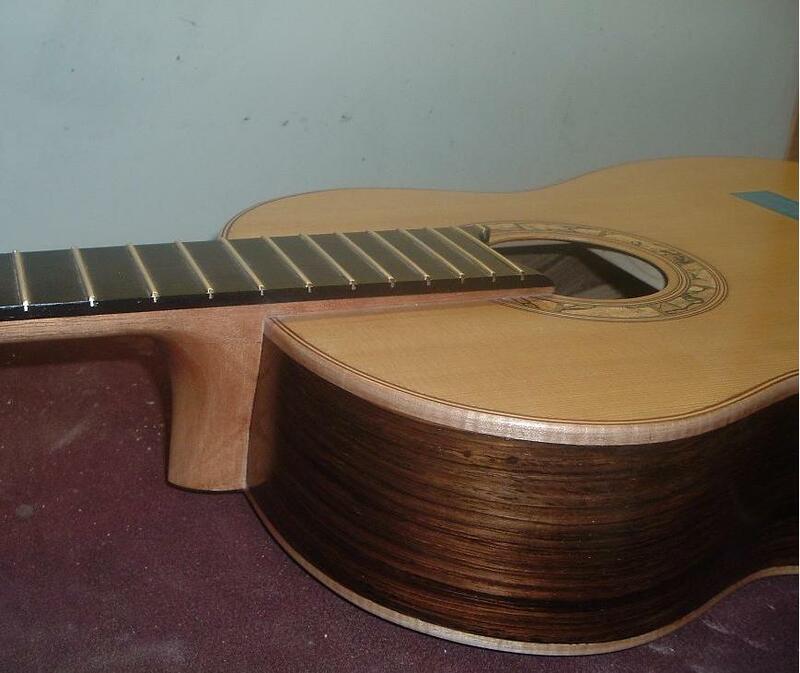 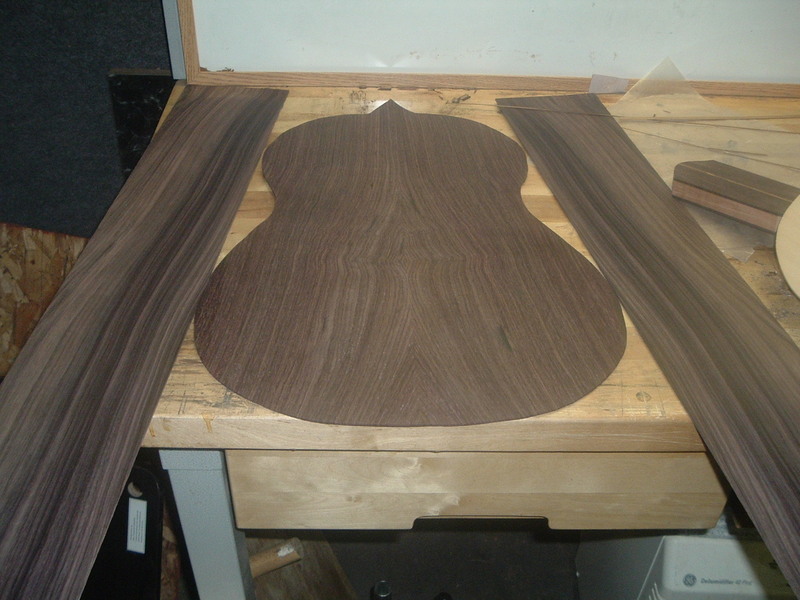 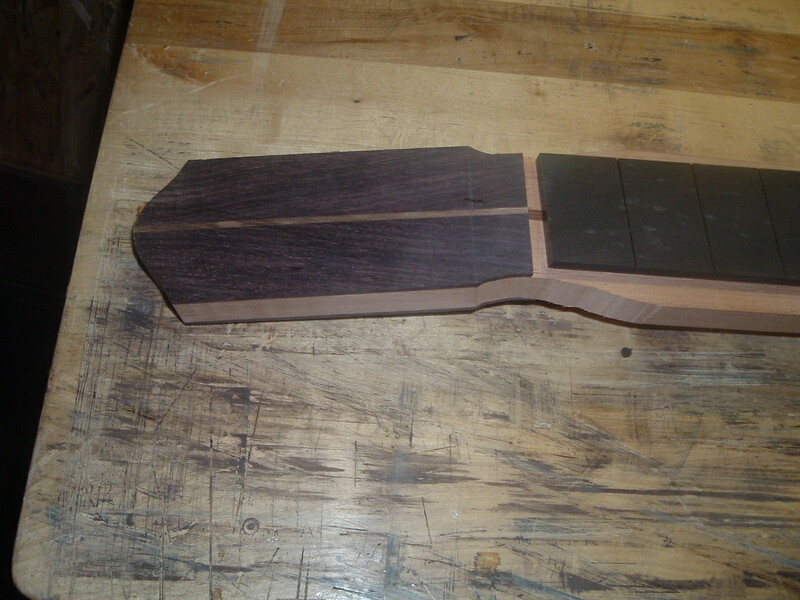 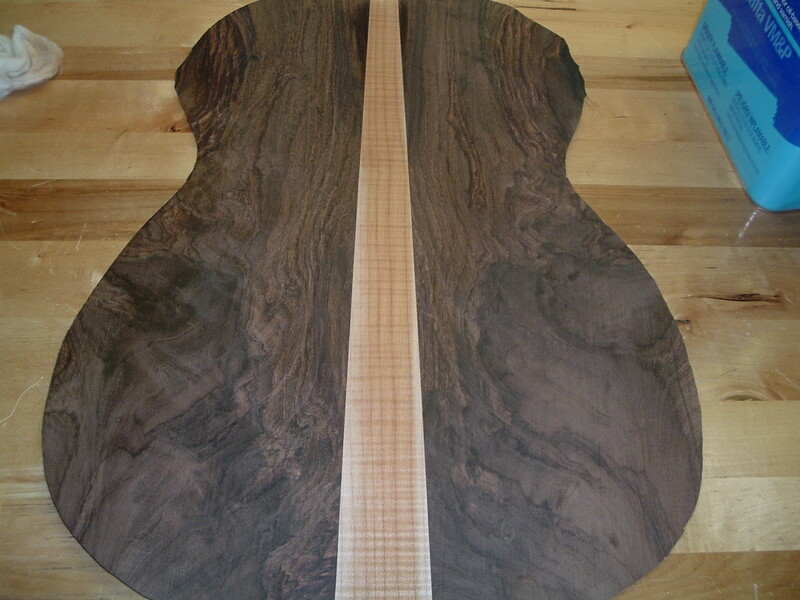 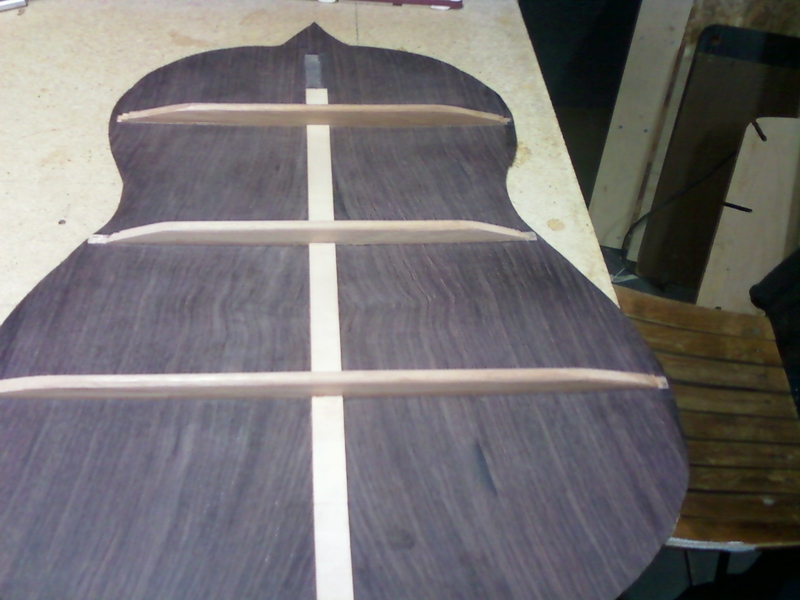 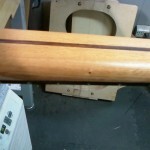 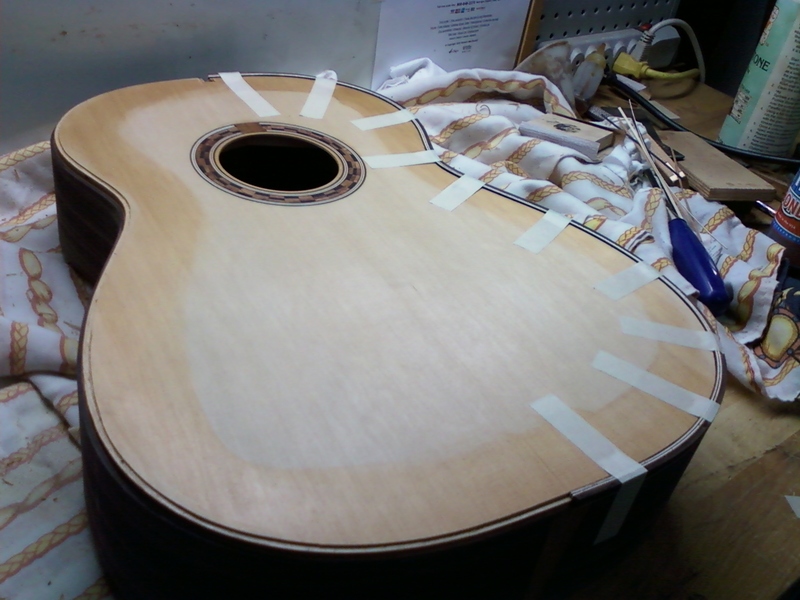 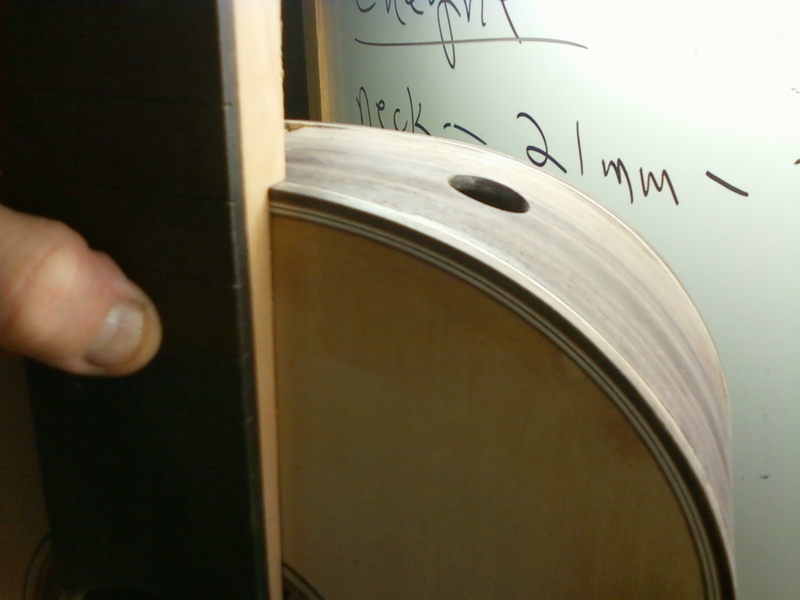 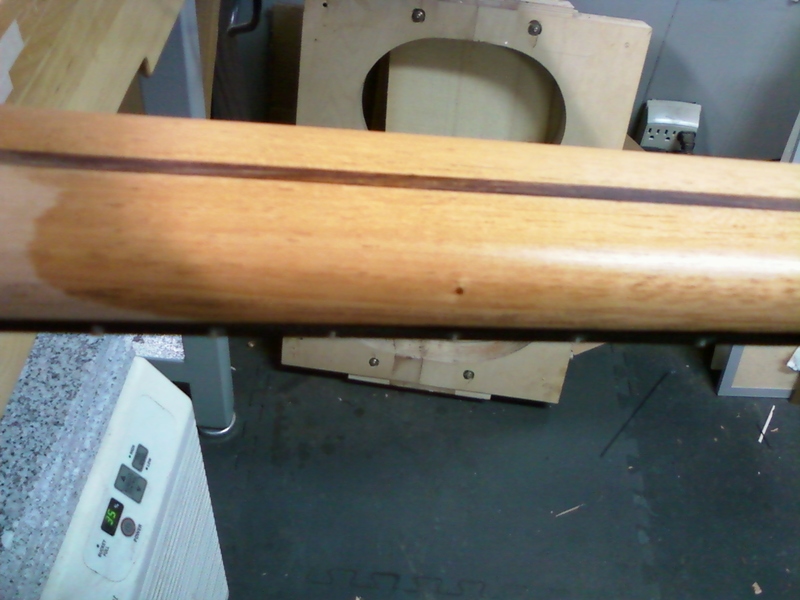 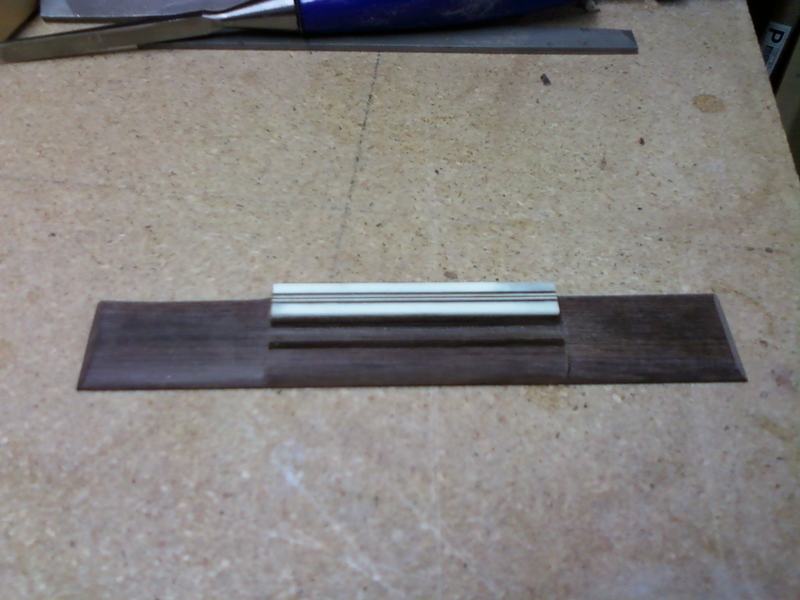 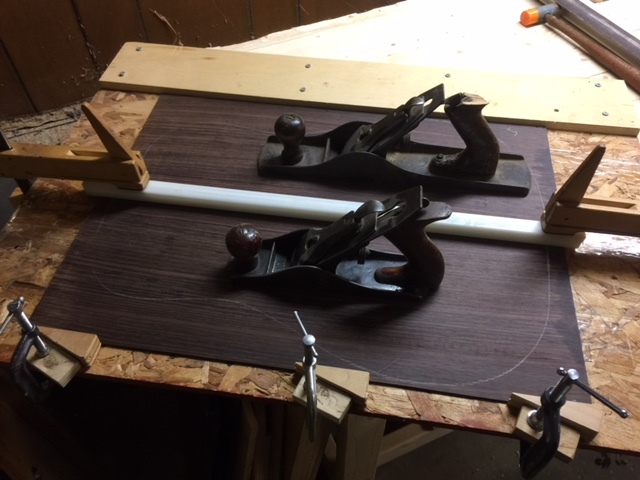 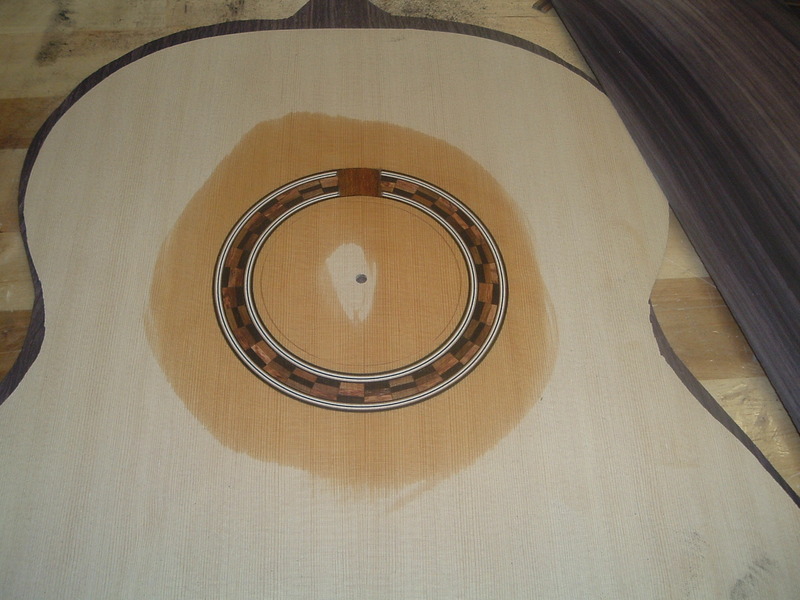 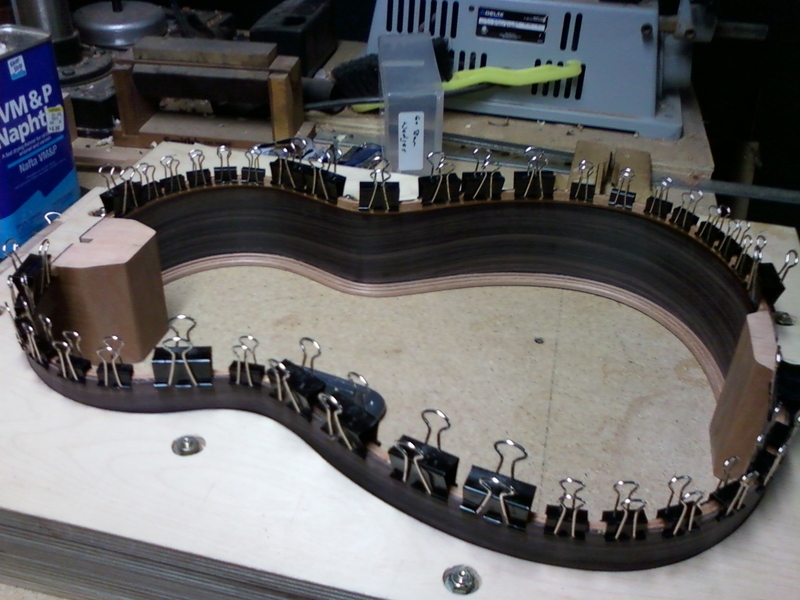 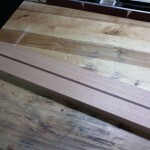 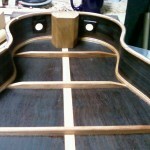 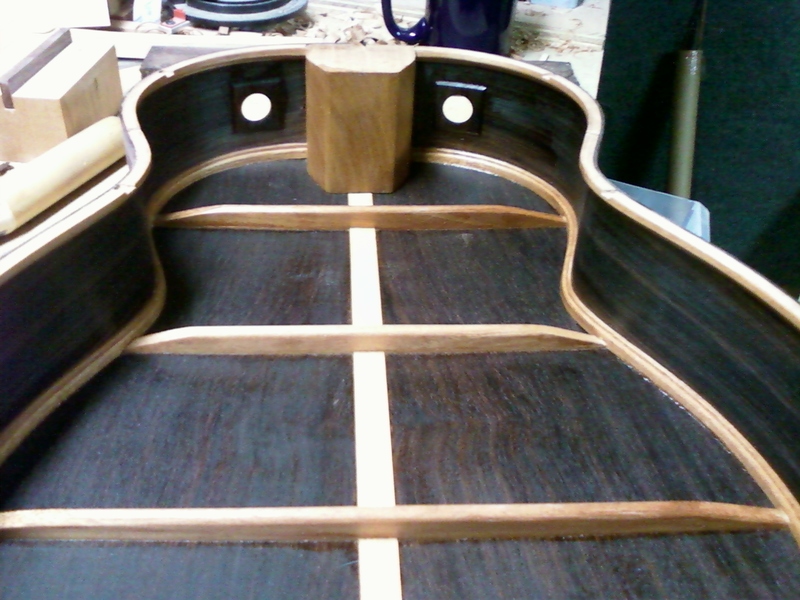 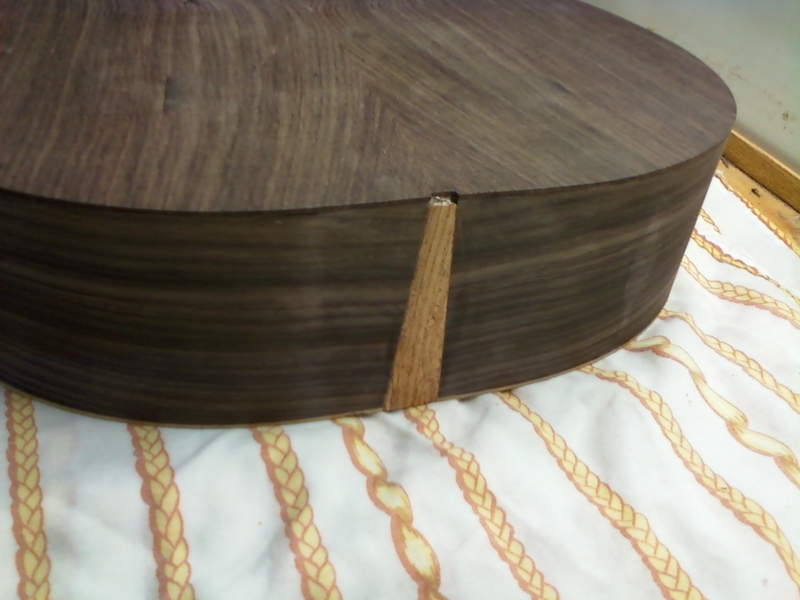 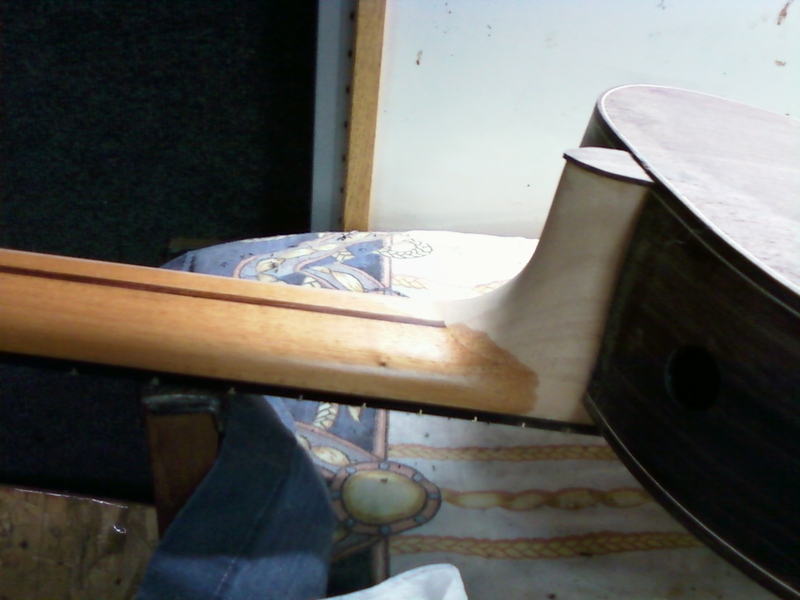 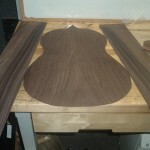 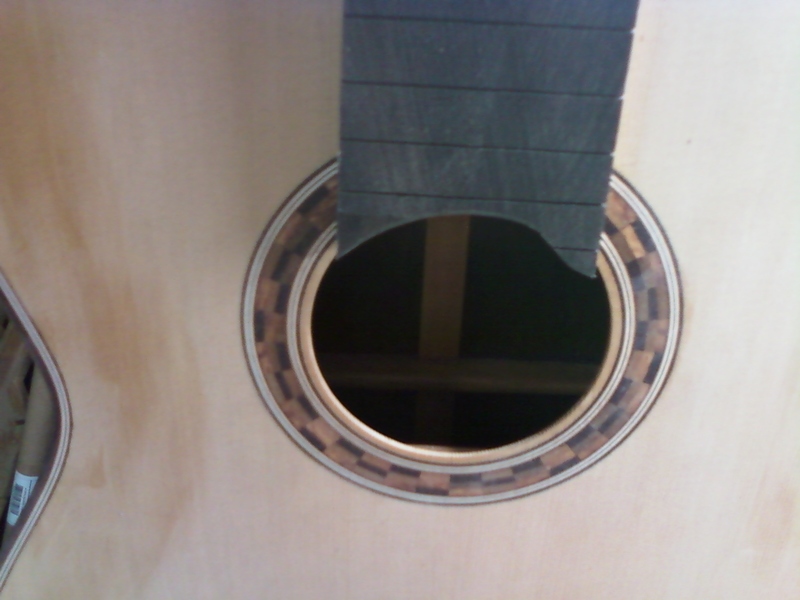 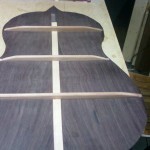 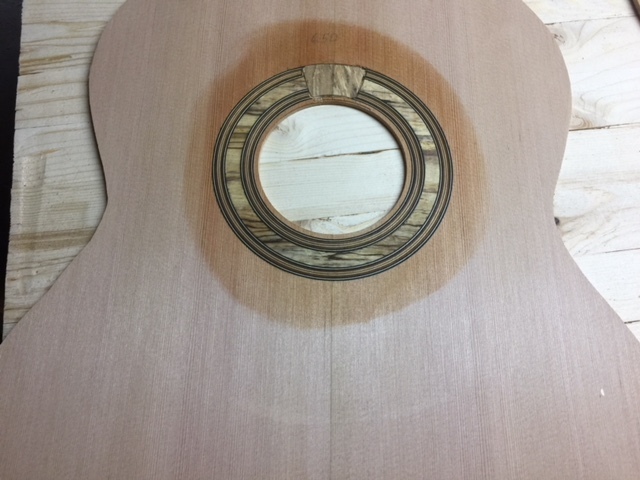 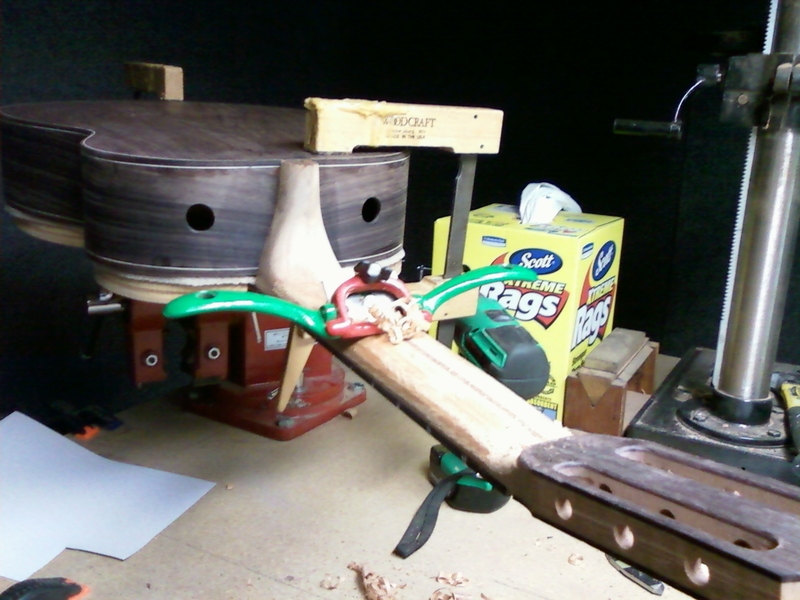 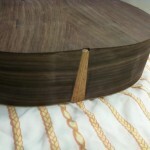 The Brazilian rosewood I am using for this one has some spectacular figuring. 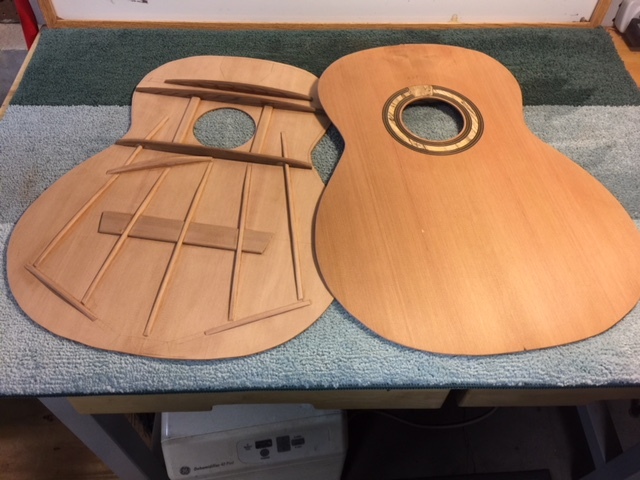 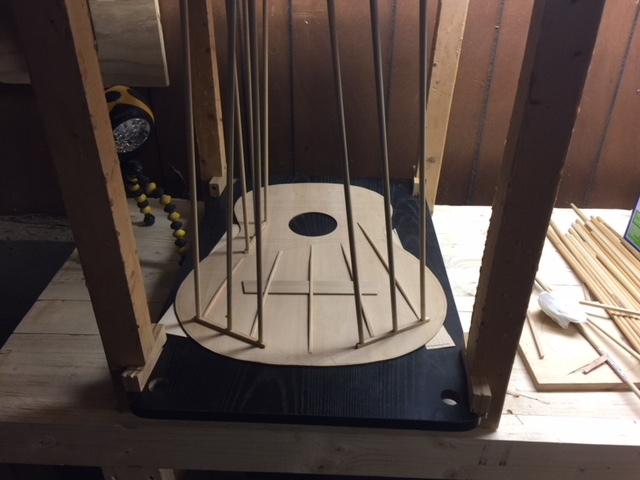 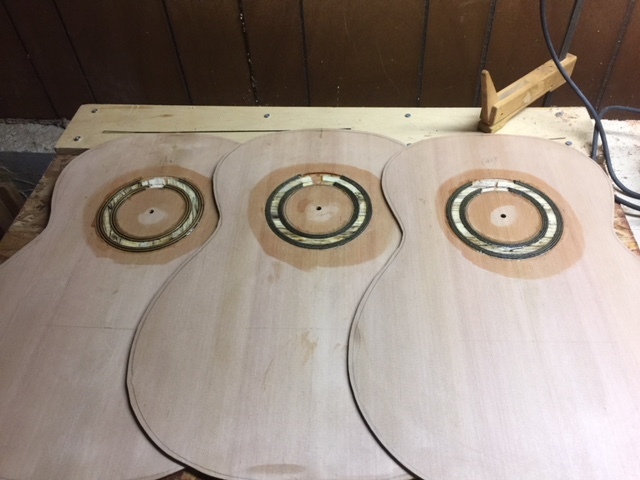 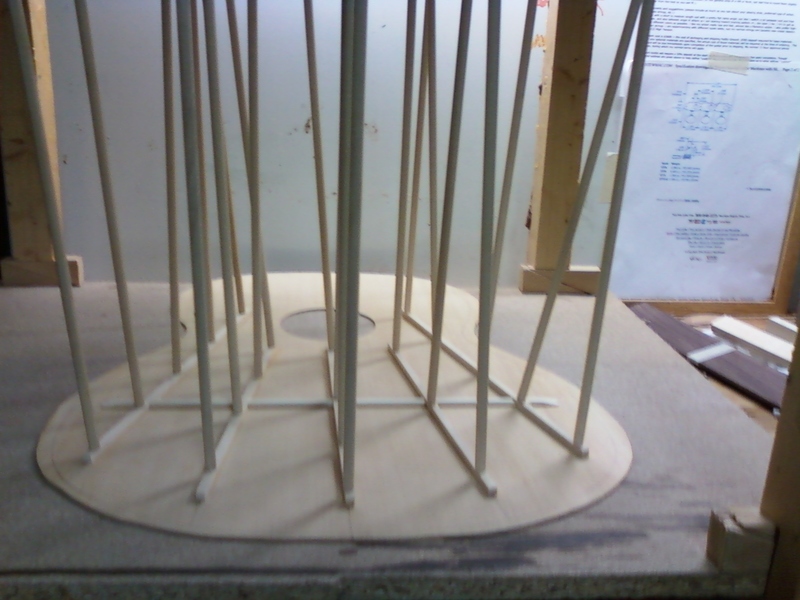 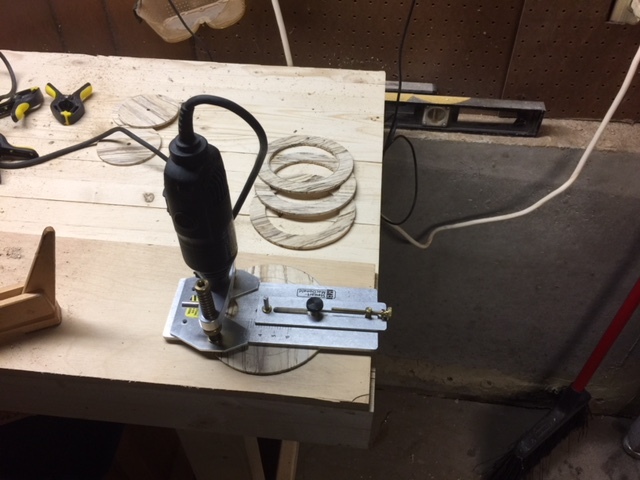 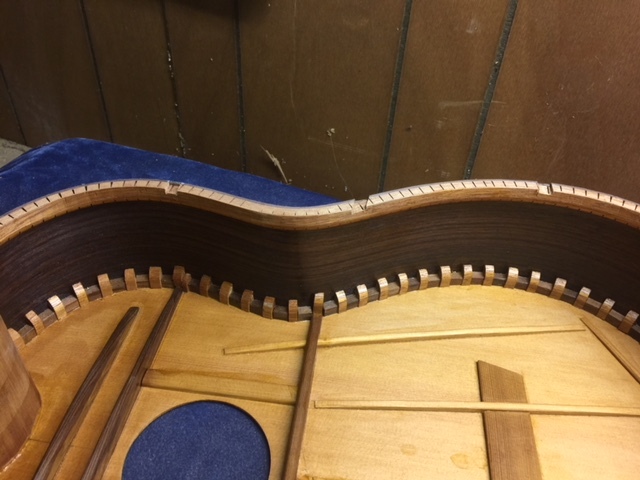 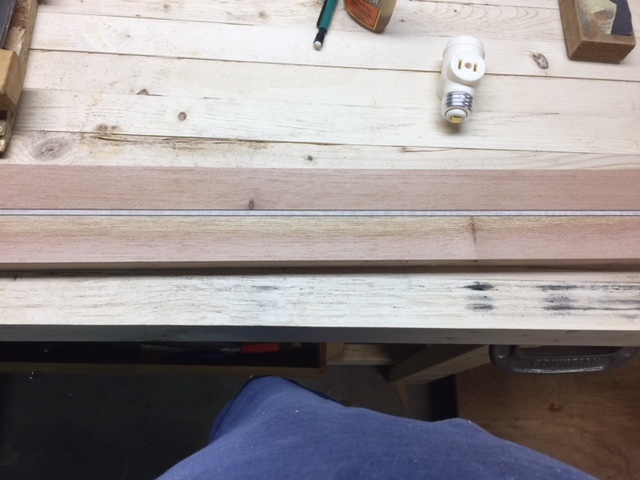 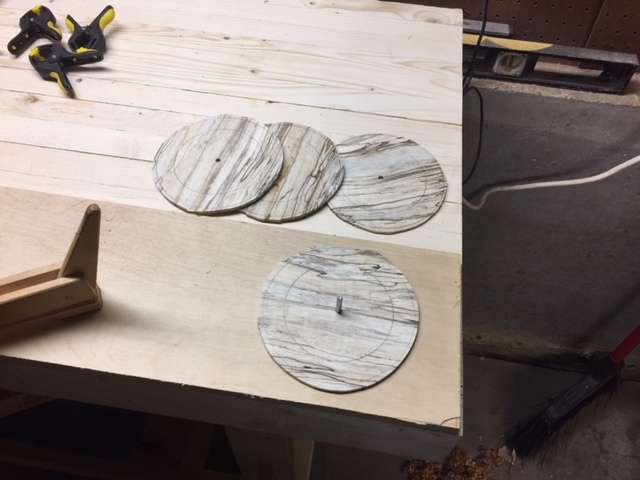 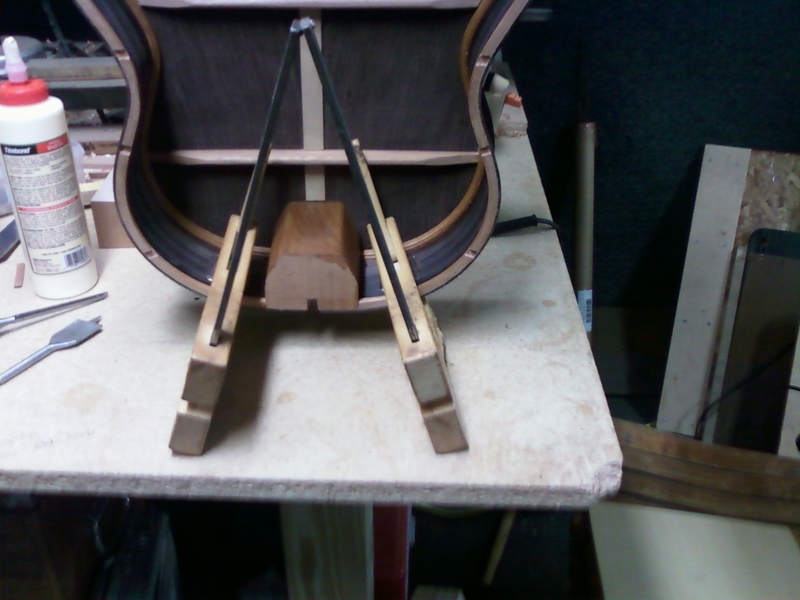 The pieces were very tight against my template, after moving the template around for hours I decided to not fight it, and borrowed an aesthetic the late Tom Humphrey used to do: insert a flame maple wedge. 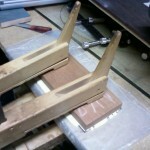 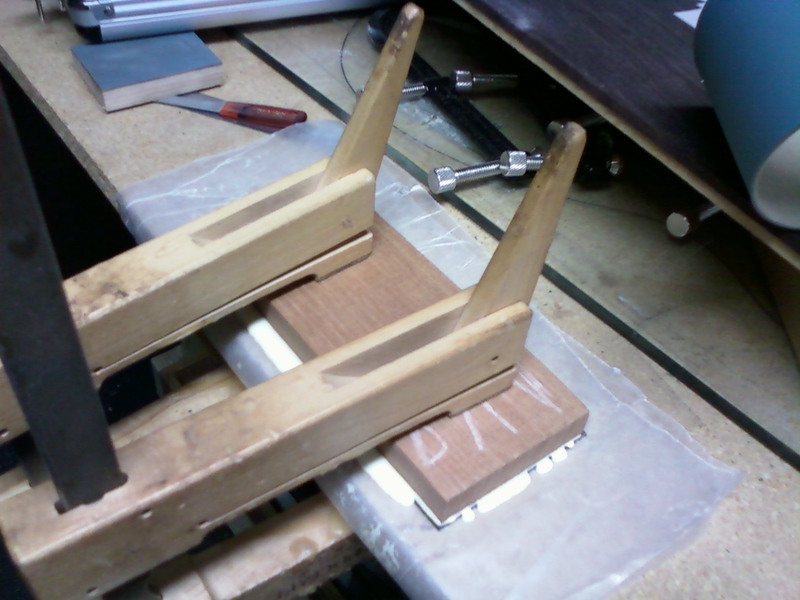 The bindings will also be flame maple to compliment. 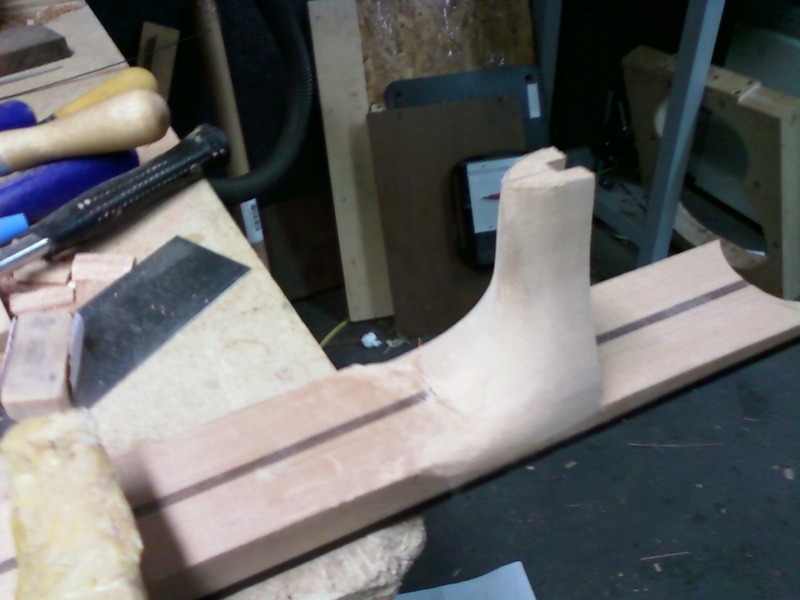 In the finishing stage, and I would like to share my new neck joint. 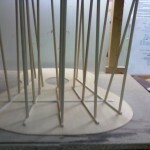 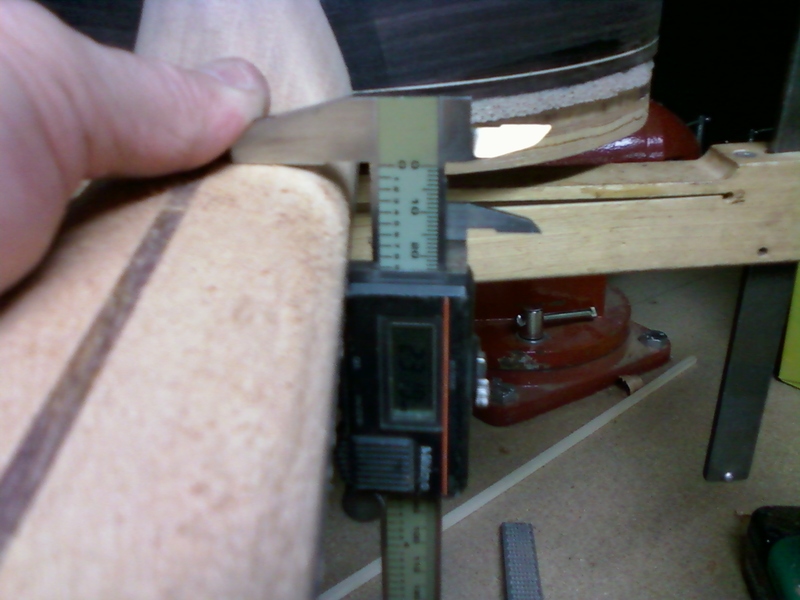 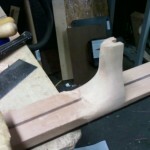 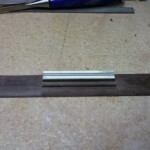 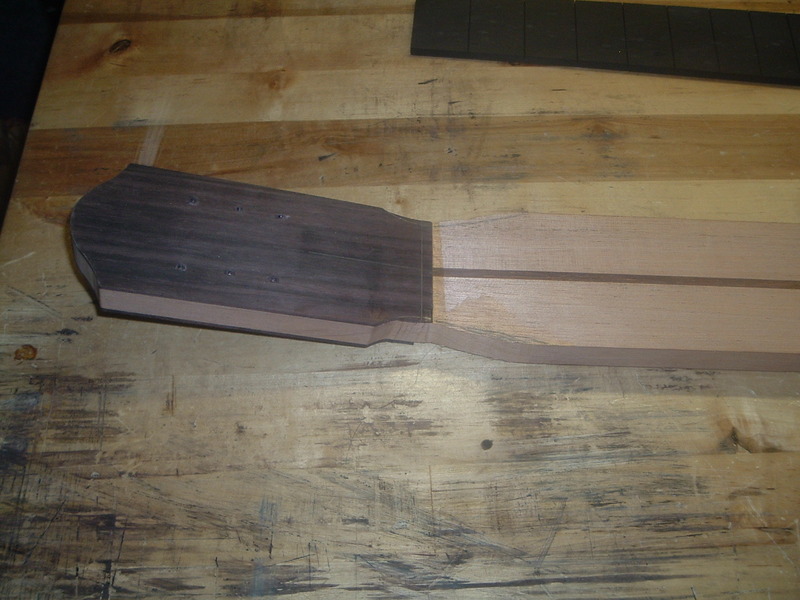 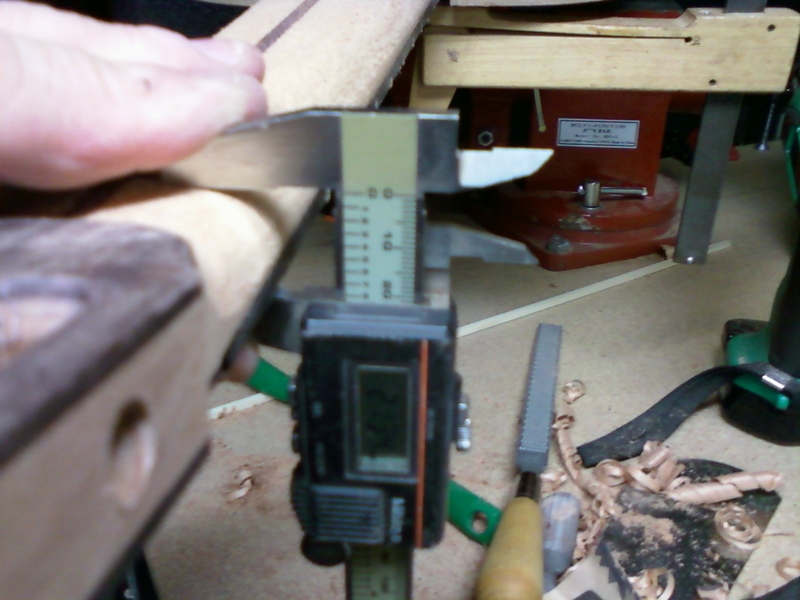 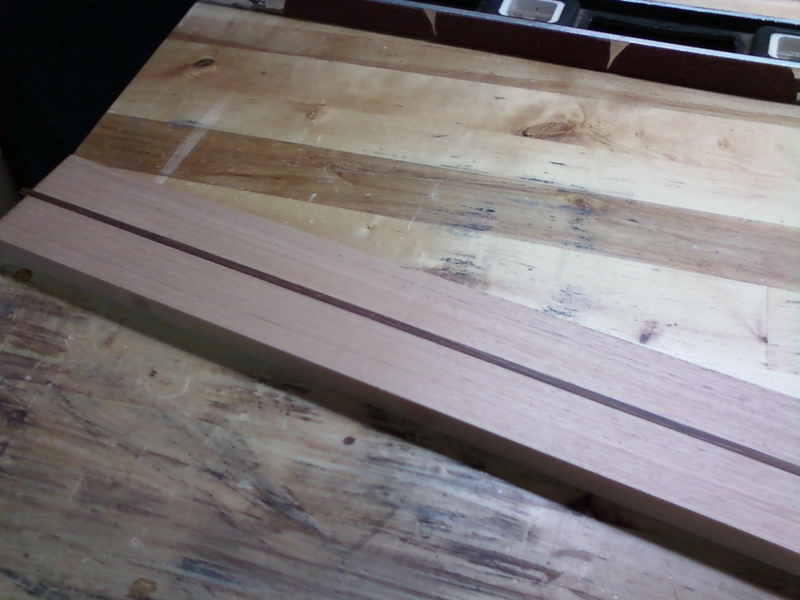 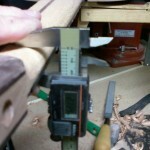 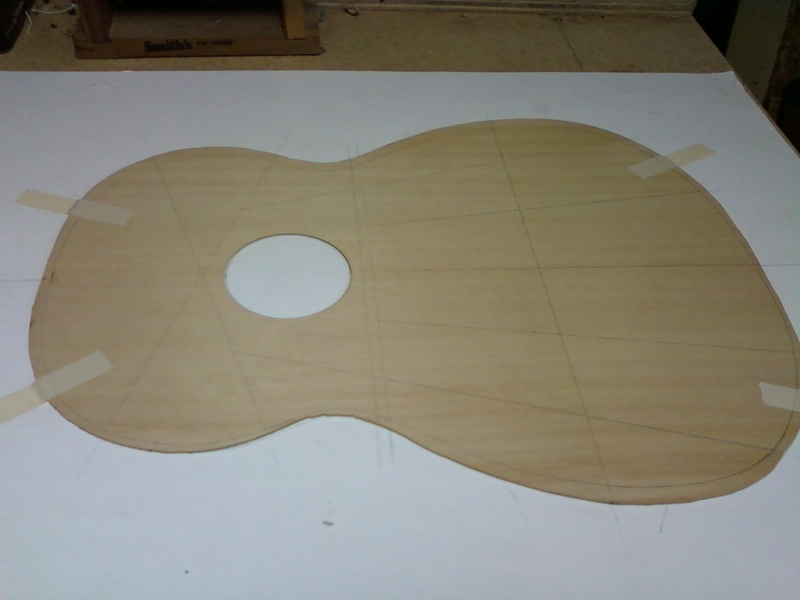 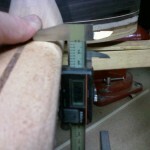 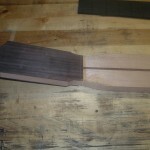 The way I am executing this joint, I can easily vary the amount of neck elevation to the customer’s preference. 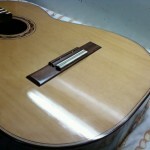 This guitar is finished, looks and sounds phenomenal, and is for sale at Savage Classical Guitar. 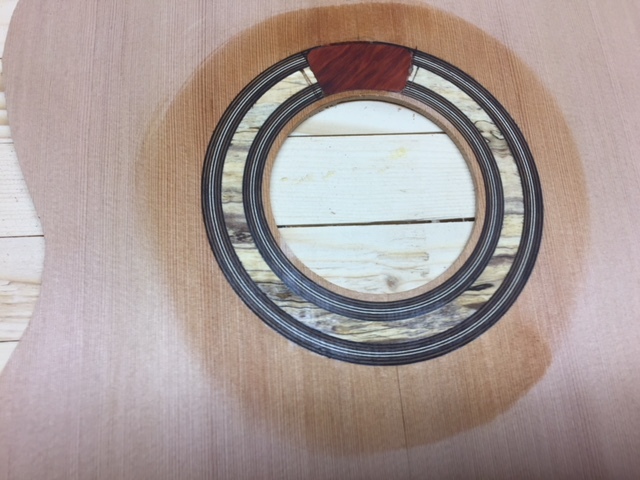 Richard has SOLD this!